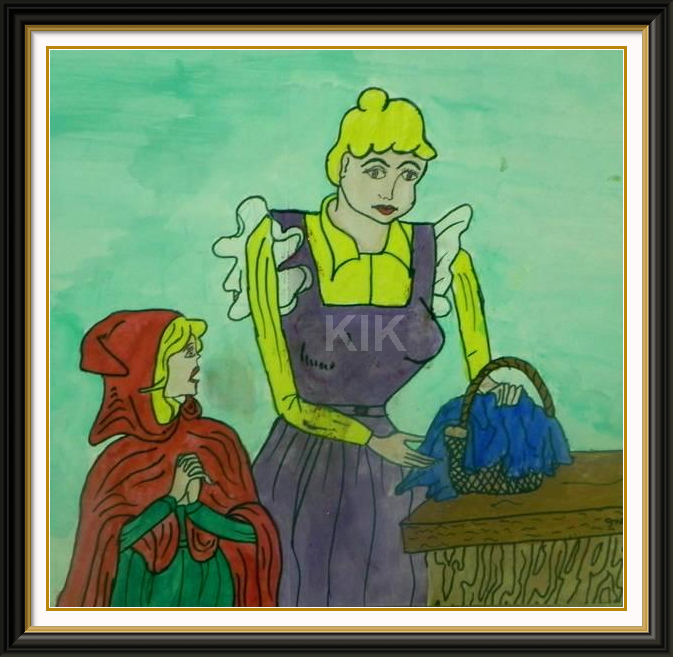 “LITTLE RED RIDING HOOD” is one of the very famous story for kids. It is a French and later European fairy tale of a young girl and a big bad wolf. One day,Little Red Riding Hood’s mother said to her, “Take this basket of goodies to your grandma’s cottage, but don’t talk to strangers on the way!” Promising not to, Little Red Riding Hood skipped off. On her way she met the Big Bad Wolf who asked, “Where are you going, little girl?” “To my grandma’s, Mr. Wolf!” she answered. The Big Bad Wolf then ran to her grandmother’s cottage much before Little Red Riding Hood, and knocked on the door. When Grandma opened the door, he locked her up in the cupboard. The wicked wolf then wore Grandma’s clothes and lay on her bed, waiting for Little Red Riding Hood. When Little Red Riding Hood reached the cottage, she entered and went to Grandma’s bedside. “My! What big eyes you have, Grandma!” she said in surprise. “All the better to see you with, my dear!” replied the wolf. “My! What big ears you have, Grandma!” said Little Red Riding Hood. “All the better to hear you with, my dear!” said the wolf. “What big teeth you have, Grandma!” said Little Red Riding Hood. “All the better to eat you with!” growled the wolf pouncing on her. Little Red Riding Hood screamed and the woodcutters in the forest came running to the cottage. They beat the Big Bad Wolf and rescued Grandma from the cupboard. Grandma hugged Little Red Riding Hood with joy. The Big Bad Wolf ran away never to be seen again. Little Red Riding Hood had learnt her lesson and never spoke to strangers ever again. which I painted in the year, 2004….